Master planned communities are some of the most popular neighborhoods for home buyers looking for a suburban feel, community amenities and newer construction. Built in areas where there was no infrastructure, developers can create a community that incorporates the features today’s buyers want and still have a sense of uniformity. Because Austin is a fairly new city, we have several master planned communities in all areas of the city. Below we’ve given you links to our posts about master planned communities in each area of town. We’ve included the city of Austin and the surrounding suburbs. Most of Southwest Austin is comprised of more smaller, established neighborhoods than large master planned communities. But, there are still a few master planned communities if Southwest Austin is your target location. What draws people to Southwest Austin master planned communities? The highly rated public schools and proximity to Downtown Austin. 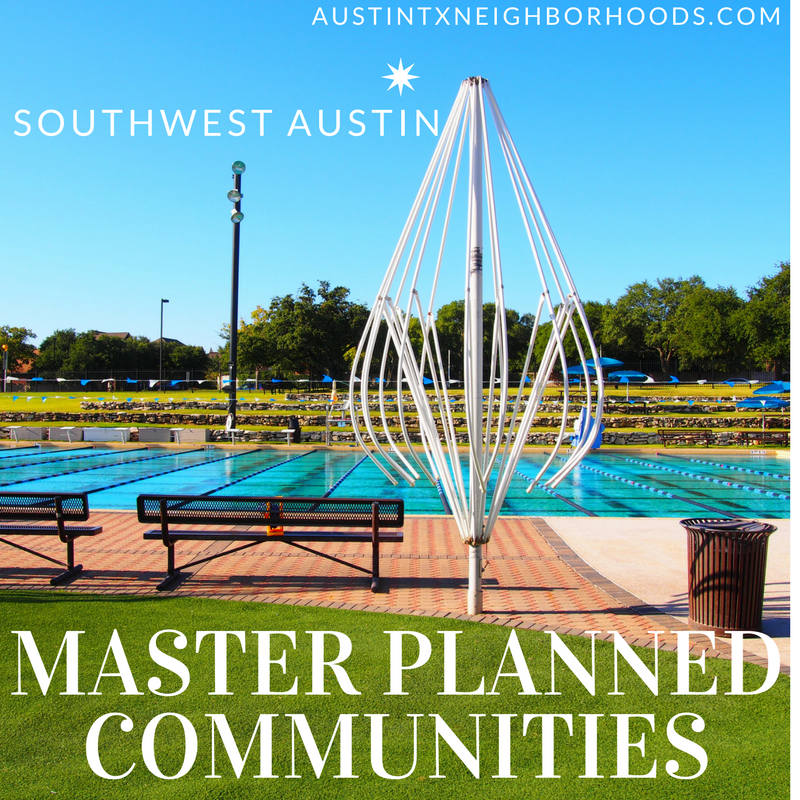 Learn more about Southwest Austin Master Planned Communities. Southeast Austin’s master planned communities are the closest to Downtown Austin and also some of the newest. Slow to develop in the past, Southeast Austin has recently taken off and is starting to see more and more master planned communities. Residents are drawn to their unique style and proximity to Downtown Austin. Schools haven’t quite caught up to Southwest Austin’s schools, but they have been getting better. 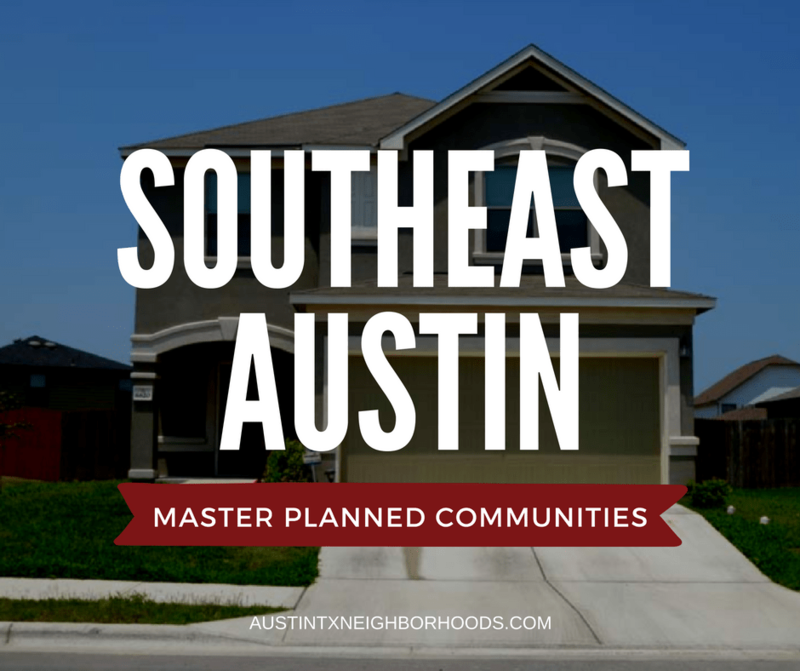 Learn more about Southeast Austin Master Planned Communities. Located west of Austin surrounding the banks of the lake, you’ll find Lake Travis’ master planned communities. The area is newly developed and quickly growing. With a highly rated school district, an east/west commute to Downtown Austin and new construction, Lake Travis is a popular choice for home buyers. 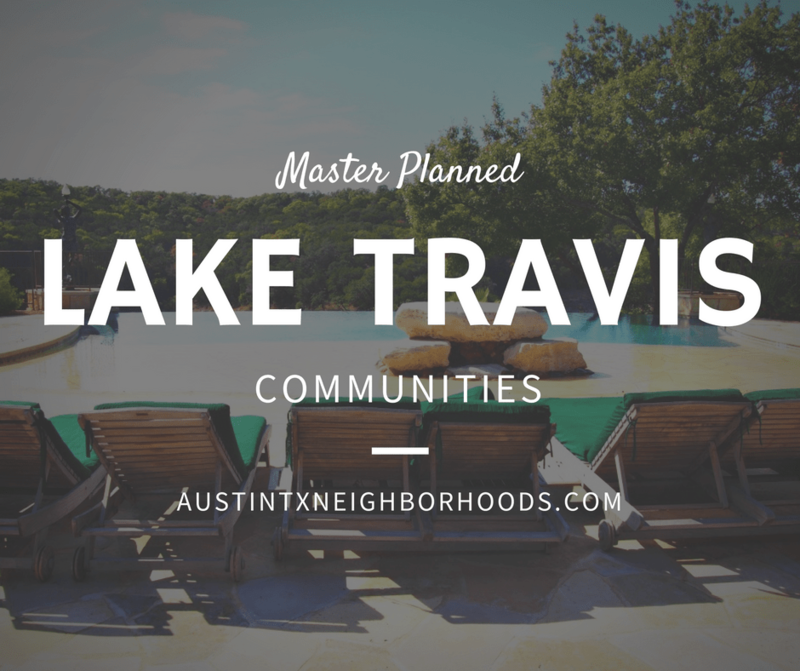 Learn more about Lake Travis Master Planned Communities. Having been one of the first “suburban” areas to be developed in Austin, you’ll find many more smaller, established communities than master planned communities in Northwest Austin. That being said, as you get further away from the city’s center, you will find some, including the area’s most popular master planned community, Steiner Ranch. What others are in Northwest Austin? 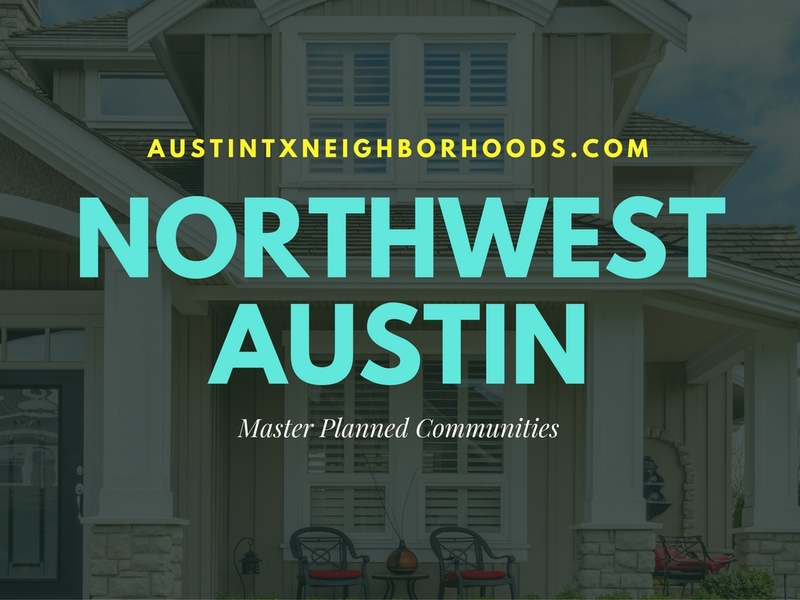 Check out our Northwest Austin Master Planned Communities page. 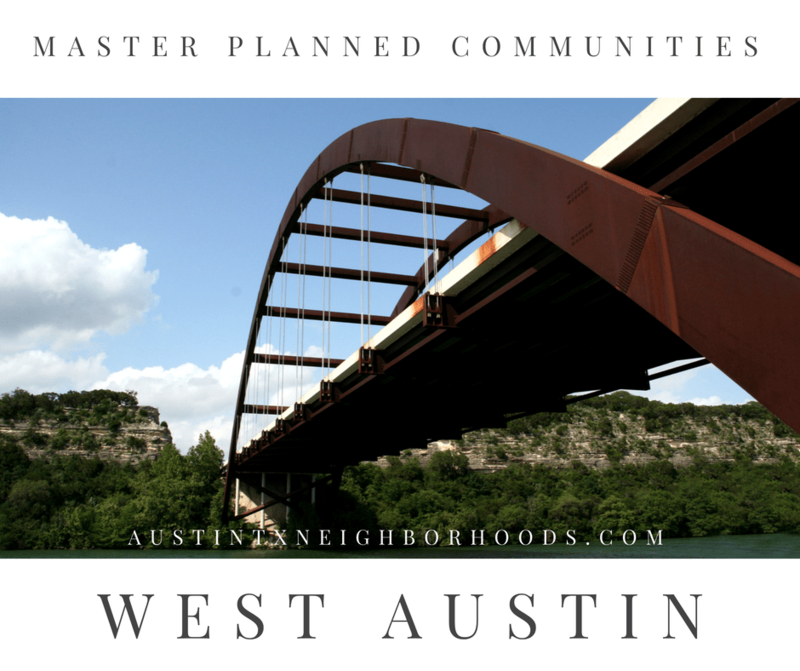 West Austin has the fewest number of master planned communities. The majority of the area is comprised of luxury homes in small neighborhoods or even just site builds. If you are dead set on West Austin and the Eanes ISD, here’s where you’ll find West Austin Master Planned Communities. Looking for master planned communities just outside the city limits? Check out these Austin area master planned communities. Buda is the first city south of Austin, followed by Kyle. Cedar Park, Pflugerville and Round Rock border Austin to the north followed by Leander and Round Rock. Buda and Kyle are the two closest, southern suburbs of Austin. As development continues north, home buyers looking for suburban living closer to Downtown Austin are gravitating south. The population in Buda and Kyle is expected to double over the next decade and home builders are scurrying to keep inventory for the increasing demand. What can you find in Buda and Kyle today? 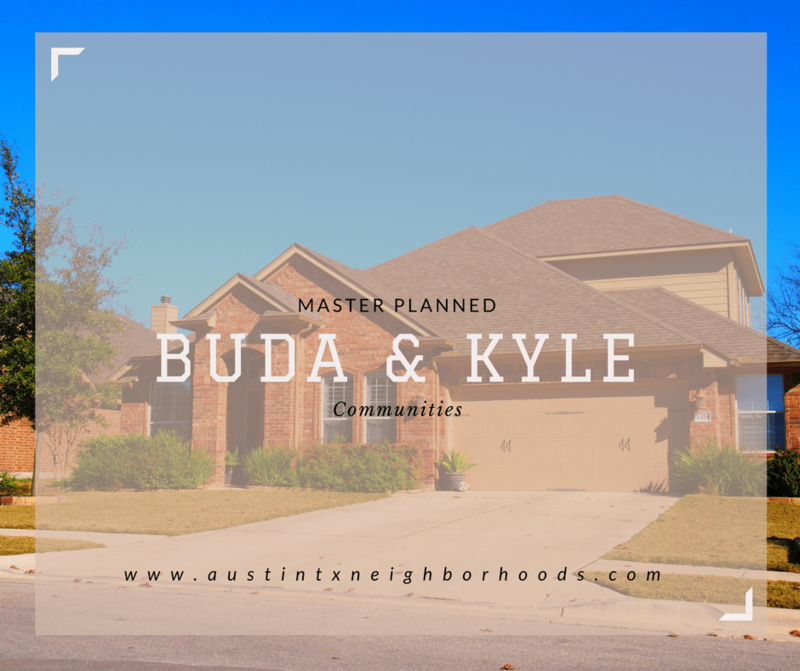 Check out our Buda and Kyle Master Planned Communities. Cedar Park and >a href=”http://elevenoaks.wpengine.com/leander/”>Leander are two distinctly different towns, which is what attracts home buyers to the area. While Cedar Park has kept more of the suburban vibe with big box retailers, large communities and newer construction, Leander keeps more of a small town vibe. Though there are still master planned communities in Leander with a suburban vibe, the city itself is a mix of new, old, acreage and small lots. That being said, both offer some pretty impressive master planned communities, with plans to build more. 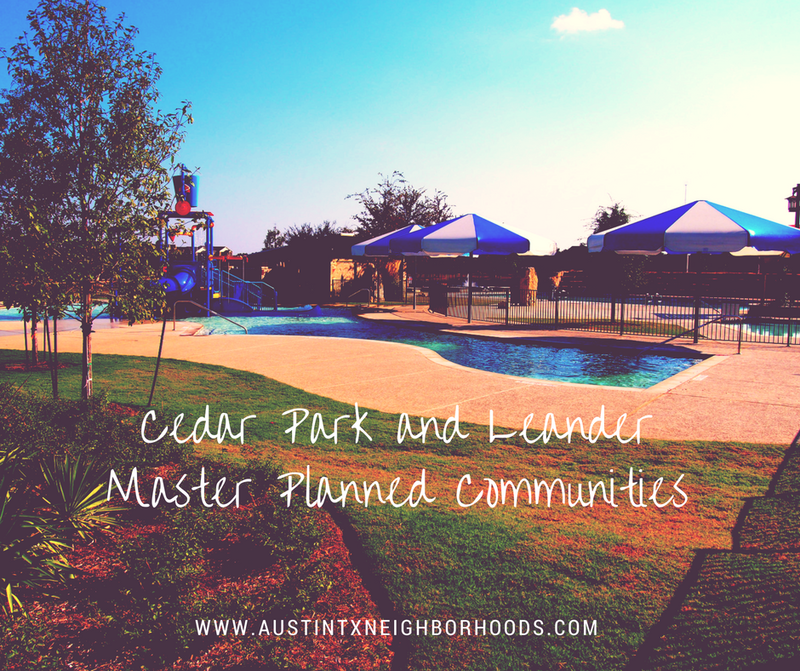 Check out our Cedar Park and Leander Master Planned Communities page to learn more. The first suburbs to grow when Austin’s population surged are now two of the most popular cities home buyers who work north look for homes. And, lucky for them, there is still room to build. Which means, we’ll see more master planned communities over the next decade. Where can you find master planned communities in Round Rock and Pflugerville now? Check out our Round Rock and Pflugerville Master Planned Communities page. Overwhelmed with this List of Master Planned Communities Around Austin? We don’t blame you! It’s a long list. Want help narrowing down the list to neighborhoods that suit you best? Check out our Austin Neighborhood Finder. By answering a few questions about what you’re looking for in a neighborhood, we’ll send you a list of your neighborhood matches. Ready to Buy a Home in a Master Planned Community? We know the Austin master planned communities well and can help you make an informed decision about your purchase. Our experienced team of buyer specialists aren’t pushy and are focused on helping you make the home buying process stress free! For more info and tips, check out our Austin Home Buyer page, then Meet our Buyer Specialists. Ready to get started? Fill out our Buyer Survey, email us at info@11OaksRealty.com or call us at (512) 827-8323 to set up a no obligation consultation.